stuff about me um 8 or is it 9? In 1992, a chap in Philadelphia by the name of Bill O’Neill starting noticing strange tiles randomly embedded in local roads. 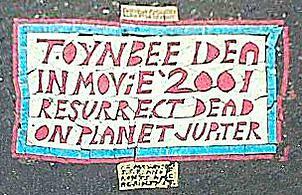 They were generally about the size of a license plate, and each had some variation of the same strange message: “TOYNBEE IDEA IN KUbricK’s 2001 RESURRECT DEAD ON PLANET JUPiTER.” They varied a bit in color and arrangement, but they were all made of an unidentifiable hard substance, and many had footnotes as strange as the message itself, such as “Murder every journalist, I beg you,” and “Submit. Obey.” Some were accompanied by lengthy, paranoid diatribes about the newsmedia, jews, and the mafia. So Bill started asking around about these tiles, but nobody knew anything about their origin or meaning. So, he created a website devoted to the mysterious tiles, and in doing so learned that it is not just a local phenomenon. Similar tiles have appeared in many US cities, including Washington DC, Pittsburgh, New York City, Baltimore, Boston, and many more. Some have even shown up in South America; in Brazil, Argentina, and Chile. To date, about 130 tiles have been discovered. Somehow, someone is managing to embed these tiles into public roads– some of which are busy 24/7– without being spotted. Due to strong similarity in craftsmanship and writing style, these tiles are most likely the work of a single individual (in the interest of conserving slashes and pronouns, we’ll assume this individual is a male). Either this man is disturbed, or he has a bizarre sense of humor. He is certainly creative, as the messages’ delivery system indicates, and he must be a patient and methodical man to have invested the time in making these 130 or so tiles by hand. And given the diverse locales where the tiles can be found, he has the means and money to travel. 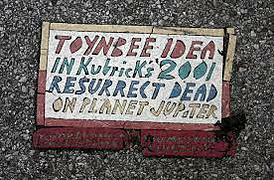 Some people also suppose that he is European, given that Kubrick and Toynbee are both English, and because one of the paranoid-ranting plaques indicates that he is/was hiding in Dover, England. The highlight of my search for answers to this mystery occurred one Sunday night of this previous winter. I had gone to my local convenience store for a snack around 4:00 A.M., noticing nothing unusual. On my way home I noticed something unusual in the street. 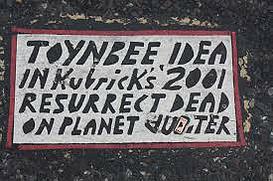 Upon closer inspection, I discovered it to be a “Toynbee Idea” tile – freshly placed and only minutes old. Of course I was beside myself with excitement and I could now see exactly how, and of what materials these tiles are made. (This tile, by the way, is located on 13th. & Arch St. in Philadelphia.) The tiles are just that – tiles….although not the standard vinyl floor tile, as I had suspected. The letters are cut out of a material with, I assume, a higher rubber content than a standard floor tile. The inlay letters seemed to made from a less malleable substance, and in this case were red and yellow. The tile is secured to the street by intricately folded and layered tar paper, glued together. A layer of raw tar seemed to lie beneath the whole tile, anchoring it. The weight of cars, as they run over the tile, forces the layers of tar paper to impregnate the spaces in the cracks of the letters. 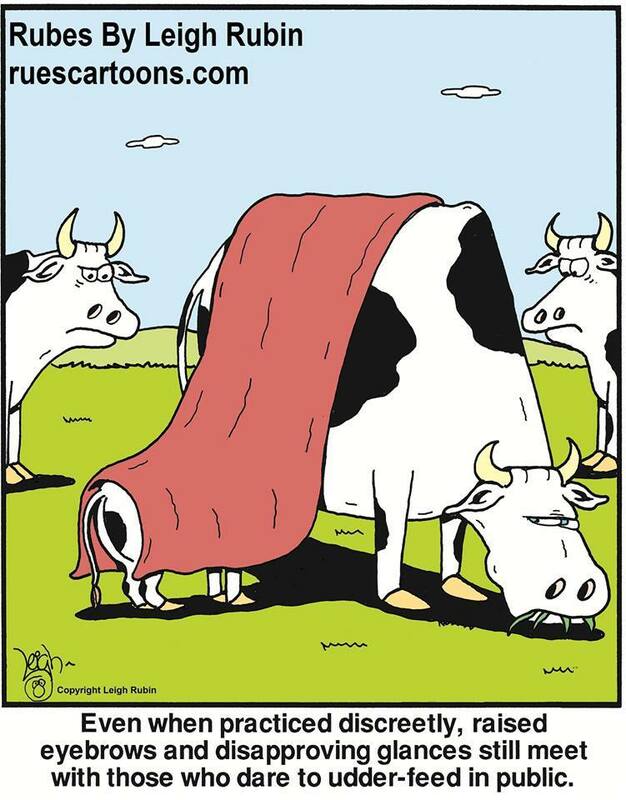 Thou dost protest too much? Given the strong ties and strange circumstances, some believe that Mr. Morasco was the responsible party… but there are some problems with the Morasco theory: A) He would have been in his 70s when most of the tiles were placed, and B) some new ones have been installed since his death in 2003. Another ambiguous Toynbee-2001 link appears in a 1985 play by Pulitzer-prize winning playwright David Mamet. 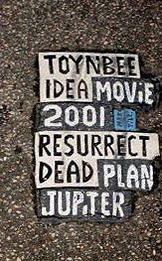 In his “Goldberg Street” collection, he wrote an exchange between a radio talk show host and a caller obsessing over Arnold Toynbee, the movie 2001 and dead people. 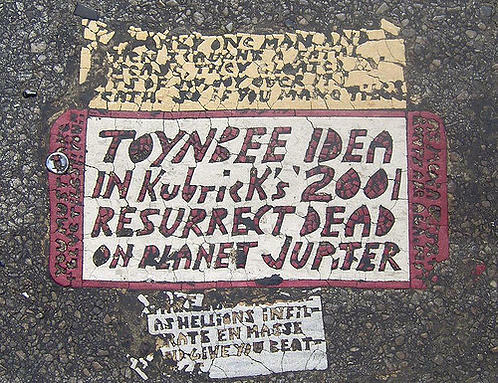 This play was written seven years before the first Toynbee tile was discovered, but two years after the Morasco article. so there you have it one of my fave mysteries and its the sort of mystery that i actually think i don’t want it solving it is much more fun being a mystery, however if it is only one man doing all this then the sad thing it may well have reached it’s end as the man must surely be of an age now where he is either not able or not interested in risking life and limb to place these odd tiles in roads and surely all the travelling involved must take its toll both physically and or course financially. firstly my full respects to her family and i would hope that all remember her as the beautiful young woman she was. the only background i could find about elisa is that she was a Canadian student and was on a trip on her own to california. seen in this picture she is in the middle smiling happy and celebrating a proud achievement, how awful it is then that such a vibrant and valuable young woman should suffer such an awful death and then to have that death surrounded in mystery. From what she wrote, she appeared intelligent, analytical, imaginative, with a sense of humour that was by turns acerbic, warm and self-deprecating, depending on the day. The Internet seemed, genuinely, to be a way for her to reach out and connect with people. Her desire to make friends online appeared genuine. From her posts appreciating poetry, grammar, writing and wordplay, she seemed to love language. A little while before she disappeared, she lost her cellphone. Whether this had anything to do with her death is uncertain. (2) but any detail no matter how small should not be overlooked, all in all she was happy living a life she clearly liked and there seemed no reason for it to end. then one day her body is found on the roof of the Cecil Hotel in one of the water tanks. this alone is enough of a mystery but more came to light; there is a video of her in the hotel taken by the security camera in the lift and i will leave you to draw your own conclusions from her behaviour. some have said she is behaving erratically, some have said paranormal activity appears to be taking place, for myself i just find it confusing and disturbing,and difficult to watch, to me she seems clearly distressed by someone or something, to me it appears that the lift is behaving oddly rather than elisa, but what causes this i have no idea. i see her behaviour as responding to the situation which is happening to her, the problem is that the situation/whats is happening we cannot see and what we do see makes little sense. 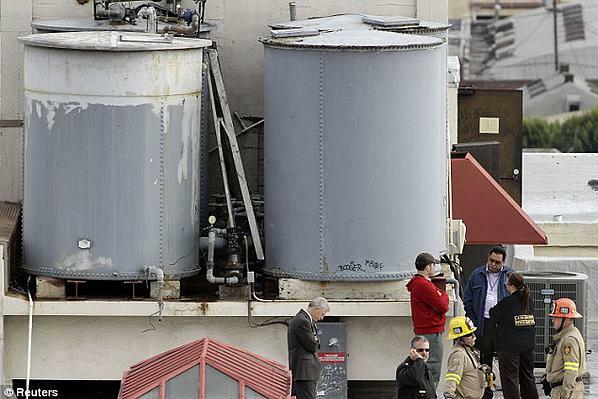 Police say the death of a 21-year-old Canadian woman whose body was found in a water tank on top of a downtown Los Angeles hotel on Tuesday may have been accidental. Police have identified the victim as Elisa Lam, a student at the University of British Columbia in Vancouver who was visiting California on her own before last seen at the Cecil Hotel, just outside Skid Row, on January 31. 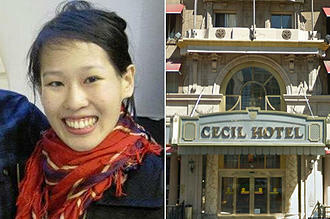 On 31 January 2013, Canadian student Elisa Lam was last seen alive by an employee of the Hotel Cecil in Los Angeles. 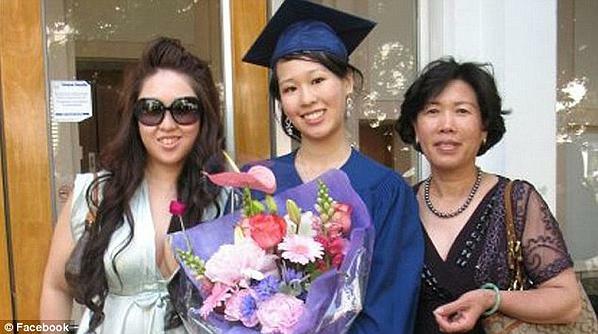 Lam disappeared on that day, and she remained missing for several weeks after she failed to check out of the property as scheduled in February 2013. On 6 February 2013, the Los Angeles Police Department (LAPD) released information about the disappearance of Elisa Lam in the hopes of finding her alive, and on the following day held a press conference on the case that was covered in local and national news. Those test results were initially expected to take six to eight weeks to complete, but coroner’s spokesman Ed Winter said in response to queries that the office was still awaiting complete testing results. Corral said no other information on the cause of death or condition of the woman’s body was being released. Authorities including police and the coroner have not stated how they believe Lam got into the tank. Law enforcement officials had been careful to say that the death could be accidental, despite widespread public suspicions of foul play. In the time since Elisa Lam’s mysterious death, the enduring questions she left behind have been the source of speculation. 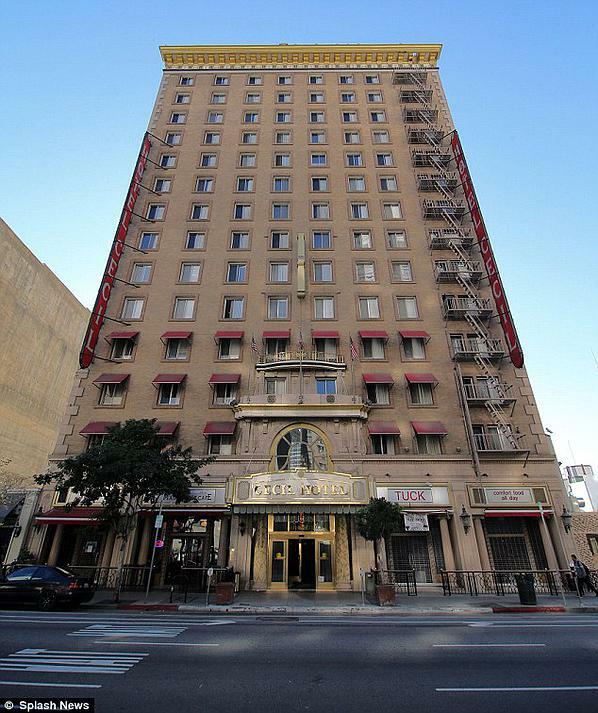 Adding to the uneasiness many have about Lam’s demise is the checkered history of the Hotel Cecil, where a woman leaped to her death from the roof in the 1960s and serial killer Richard Ramirez (the “Night Stalker”) lived for a time in the mid-1980s. so all we are left with is questions what happened in the lift? how did she gain access t the roof which was locked and only staff had the key? how did she gain access to the water tank which was locked and also needed a ladder to even get to the top of the tank and end up in there naked and manage to lock the tank lid behind her ? 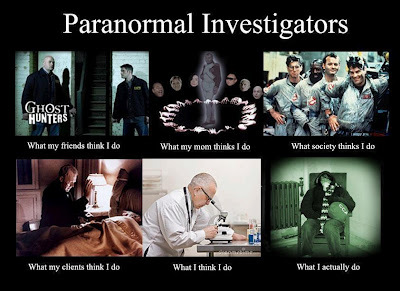 unfortunately this is all we have there is no more evidence, no more clues, and while it makes for a great film, and a great mystery, and possibly even a great paranormal case? in the end though a beautiful young woman who had a life she was enjoying has met with tragedy and her family are left grieving with no answers, so i just hope that her family finds some solace and some resolution, and for elisa herself i just hope she is now at peace. ok i suppose i best start at the beginning, along with my obsession with all things paranormal, though i am not so interested in cryptids and or mythical animals, i do absolutely love EVPs which is for those who don’t know Electrical Voice Phenomenon basically a tape recorder is left to record well seemingly nothing, either someone leaves it in an empty room recording or it is hand-held or near someone who asks a question or talks to what looks like nothing but you would be surprised at the results from what looks like nothing. to me though one of the main reasons i love EVP is because it is one of the few areas that no one can explain away with science or reason so often leaving the only other idea of it actually being a spirit of someone passed over, even my husband and i have some rather enthusiastic discussions about this ^_^ he is a total non believer and simply refuses to have anything to do with anything paranormal, so i asks him how then does he explain EVP and he just says it is a hoax or someone trying to make out either noises which are nothing into something or an outright hoax laid down in preparation before the ghost hunt or whatever situation was taking place. Consider the events of September 12, 2008, when a Metrolink commuter train passing through the Chatworth district of Los Angeles collided with a freight train. One of its passenger’s, Charles E. Peck, died on impact at 4:22 p.m. that day, and 25 others also perished in the crash. However, Peck’s story did not end there. For 11 hours, up until the point when rescue teams recovered his body, Peck’s cell phone dialed out to a number of his family members – his fiancée, his stepmother, his brother, his sister, his son. All they heard when they answered was static, and returning the calls only led to his voicemail. The calls were, however, able to lead searchers to the location of Peck’s body some 12 hours later, at which point they determined he had died on impact. An hour before they found him, the calls stopped. On September 20, 1988, Dean had an experience that he would not write about for nearly a decade, but he claimed it in his essay for Beautiful Death as his one possible encounter with evidence for life after death. He was at work that day in his office when the phone rang. He picked it up and heard a female voice that sounded far away. She spoke with a sense of great urgency. “Please, be careful!” she said. He received no response. The woman repeated the warning three more times, and each time she said it, her voice became more distant. His number was unlisted, so it could not have been a prank call aimed at him. Perhaps it had been a number simply misdialed. He mentioned the incident to his wife, but told no one else. Two days after this call, Dean went to visit his father at the facility where he lived. The staff was dealing with Ray’s behavioral problems, and they had asked Dean to come and talk with him. Ray had punched another resident, a man on a walker, and the nurses were worried. Dean was unaware that Ray had used some of his small allowance to go buy a yellow-handled fishing knife and had honed it to razor sharpness and oiled the hinge to make it open like a switchblade. When Dean came into the room, Ray moved fast. He grabbed the knife from a drawer, and Dean had to try to wrestle it away from him. He just managed to avoid being slashed. There were many witnesses to this altercation, and one of them called the police. Finally Dean got the knife without incident and carried it out into the hall—just as the police arrived. Dean was startled. “It’s not me you want,” he insisted. “It’s him in there.” He pointed into his father’s room. “Drop the knife!” they repeated, still training their weapons on him. Koontz would later include this scene in his 1993 novel, Mr. 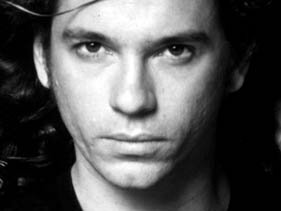 Murder, when Marty Stillwater, the protagonist, has a similar encounter (though under different circumstances) with the police. Eventually the police realized that Ray was the dangerous party. They took him to a psychiatric ward where he could be kept for observation. My Grandfather passed away on December 23rd, 2010 just a few months ago. I received voice mail notification on my land line phone after one ring, and proceeded to check my voice mail, This is what I got. White noise, and a clear whisper ‘Grand – Pa”. I am requesting that anyone familiar with sound editing software and experience in analyzing paranormal sound files, please analyse this for me, I have had it analyzed by one person who has told me that this voice is not from a living person, that it is unlikely to be a hoax because the voice itself is just too perfect, that there do not appear to be any inhalations, only an exhalation and two syllables, lots of electrical / static or white noise. If you would like to analyse this file, please request through my inbox and I will be happy to send it along if I can be assured that I am sending it to someone who will take this seriously. 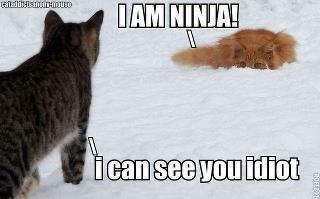 oooh well thats a little creepy! ok the idea of people just disappearing has always fascinated me and there are even statistics that say in the year of 2013 nearly 700,000 people disappeared * and this figure is arrived at after all those who disappeared but there was a reason that accounted for it either at the time or discovered later, each time a recorded missing person has an associated reason the name is removed so this figure is all those who simply disappeared no reason found. there are some who will only discuss conspiracy theories but i think that not is this not a conspiracy theory case, i honestly don’t think one can blame the nwo or even the government of any country for everything that happens, plus i really don’t see why they would do such a thing, it serves no purpose for them , and i like the idea that it could be something more spooky. i know there are some rather good urban legends that have people disappearing as their main theme not least of which do we have the bermuda triangle to site a rather popular case, but also i love the more intimate ones where just one normal person simply vanishes even better if it happens with a witness or two. One of the most mysterious is the case of Paula Welden, a blonde, blue-eyed 18-year old Bennington College sophomore who disappeared on December 1, 1946. On that Sunday afternoon, Paula told her roommate, Elizabeth Johnson, that she was going for a hike. According to the Bennington Evening Banner of December 1, 1955, college friends noticed her on the path to Bennington. Several others noted having seen or encountered her, including Danny Fager, proprietor of the gas station at the college entrance, Louis Knapp, a contractor, and Ernie Whitman, the night watchman. Paula’s father, W. Archibald Welden of Stamford, Connecticut arrived shortly to help in the search for his daughter. Sheriff Clyde Peck led men into the deep woods surrounding the disappearance area looking for Paula between Glastenbury and Bald Mountain. Soldiers from Fort Devens searched the Long Trail area. Despite help from the FBI, the governor of Vermont, Vermont State Detective, and even State Police from Connecticut and the converge of over 100 reporters from the East Coast, no trace of Paula has ever been found. James E. Tedford – age 65. It’s not known if Mr. Tedford actually vanished near Bennington, but on December 1, 1949, his relatives reported him upon a Bennington-bound bus from St. Albans. Other passengers reported seeing him sleeping, but when the bus arrived in Bennington, James was nowhere to be found, his belongings left behind. No trace has ever been located. Paul Jepson – age 8 of Shaftsbury. On October 12, 1950, this little boy wandered away from his mother’s truck in a wooded area, close to where Paula Welden had vanished. A search of the area with bloodhounds ended abruptly on one spot on the trail. On the 26th December 1900, a small ship was making its way to the Flannan Islands in the remote Outer Hebridies. Its destination was the lighthouse at Eilean Mor, a remote island which (apart from its lighthouse keepers) was completely uninhabited. Although uninhabited, the island has always sparked people’s interest. It is named after St. Flannen, a 6th century Irish Bishop who later became a saint. He built a chapel on the island and for centuries shepherds used to bring over sheep to the island to graze but would never stay the night, fearful of the spirits believed to haunt that remote spot. Captain James Harvey was in charge of the ship which was also carrying Jospeph Moore, a replacement lighthouse keeper. As the ship reached the landing platform, Captain Harvey was surprised not to see anyone waiting for their arrival. He blew his horn and sent up a warning flare to attract attention. Joseph Moore then rowed ashore and ascended up the steep set of stairs that leaded up to the lighthouse. According to reports from Moore himself, the replacement lighthouse keeper suffered an overwhelming sense of foreboding on his long walk up to the top of the cliff. 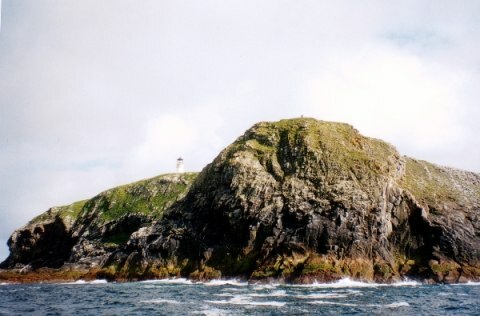 The island of Eilean Mor, with the lighthouse in the background. Attribution: Marc Calhoun under the Creative Commons Attribution-Share Alike 2.0 Generic license. Once at the lighthouse, Moore noticed something was immediately wrong; the door to the lighthouse was unlocked and in the entrance hall two of the three oil skinned coats were missing. Moore continued onto the kitchen area where he found half eaten food and an overturned chair, almost as if someone had jumped from their seat in a hurry. To add to this peculiar scene, the kitchen clock had also stopped. Moore continued to search the rest of the lighthouse but found no sign of the lighthouse keepers. He ran back to the ship to inform Captain Harvey, who subsequently ordered a search of the islands for the missing men. No-one was found. so like the mary celeste the lighthouse mystery has never been solved though many have their own explanations nothing officially has ever been put forward. David Lang was said to be a farmer who lived near Gallatin, Tennessee. On September 23, 1880 he supposedly vanished into thin air while walking through a field near his home. His wife, children, and two men who were passing by in a buggy all witnessed his disappearance. David Lang had not taken more than half a dozen steps when he disappeared in full view of all those present. Mrs. Lang screamed. 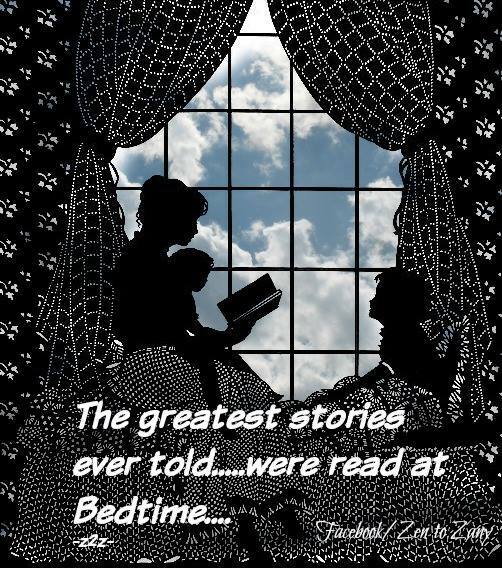 The children, too startled to realize what had happened, stood mutely. Instinctively, they all ran toward the spot where Lang had last been seen a few seconds before. Judge Peck and his companion, the Judge’s brother-in-law, scrambled out of their buggy and raced across the field. The five of them arrived on the spot of Lang’s disappearance almost simultaneously. There was not a tree, not a bush, not a hole to mar the surface. And not a single clue to indicate what had happened to David Lang. The grownups searched the field around and around, and found nothing. Mrs. Lang became hysterical and had to be led screaming into the house. Meanwhile, neighbors had been altered by the frantic ringing of a huge bell that stood in the side yard, and they spread the alarm. By nightfall scores of people were on the scene, many of them with lanterns. They searched every foot of the field in which Lang had last been seen a few hours before. They stamped their feet on the dry hard sod in hope of detecting some hole into which he might have fallen — but they found none. David Lang was gone. He had vanished in full view of his wife, his two children, and the two men in the buggy. One second he was there, walking across the sunlit field, the next instant he was gone. Eventually the grass around where Lang had disappeared turned yellow in a fifteen-foot diameter circle, suggesting that some form of energy had mysteriously transported him away. Seven months later his children were said to have heard their father’s voice faintly calling out for help as they played near the spot of his disappearance, but eventually the sound of his voice faded away. 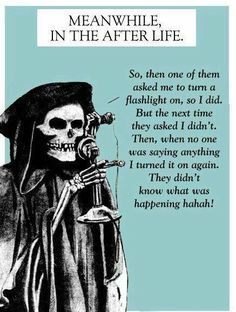 They never heard his voice again. July 1954; a hot day. A man arrives at Tokyo airport in Japan. He’s of Caucasian appearance and conventional-looking. But the officials are suspicious. On checking his passport, they see that he hails from a country called Taured. The passport looked genuine, except for the fact that there is no such country as Taured – well, at least in our dimension. The man is interrogated, and asked to point out where his country supposedly exists on a map. He immediately points his finger towards the Principality of Andorra, but becomes angry and confused. He’s never heard of Andorra, and can’t understand why his homeland of Taured isn’t there. 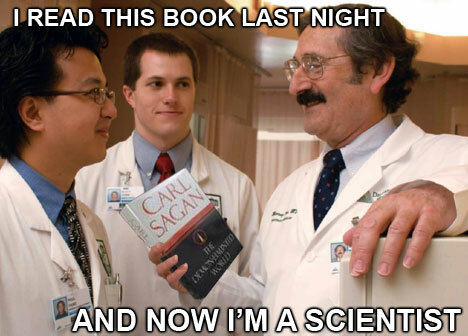 According to him it should have been, for it had existed for more than 1,000 years! Customs officials found him in possession of money from several different European currencies. His passport had been stamped by many airports around the globe, including previous visits to Tokyo. Baffled, they took him to a local hotel and placed him in a room with two guards outside until they could get to the bottom of the mystery. The company he claimed to work for had no knowledge of him, although he had copious amounts of documentation to prove his point. The hotel he claimed to have a reservation for had never heard of him either. The company officials in Tokyo he was there to do business with? Yup, you’ve guessed it – they just shook their heads too. Later, when the hotel room he was held in was opened, the man had disappeared. The police established that he could not have escaped out of the window – the room was several floors up, and there was no balcony. ? He was never seen again, and the mystery was never solved. see not only does that have the vanishing but also another dimension brilliant! A school for students with ESP in Vanuatu (formerly called the New Hebrides), which is a group of islands in the South Pacific, disappeared completely, buildings and all. It goes on to state that not only are all the students missing, but so are the buildings. One of the students had left for personal reasons and when she returned, she found nothing. The authorities asked her if she knew of anything strange that was going on in the school. She replied that all she knew was that the professors and students were working on a time machine. Vanuatu is mostly just a tourist spot. It is a nice tropical place that is only threatened by cyclones from April to November. so guardian angels then….whats all that about? or is it really my grandad that looks after me? why is it that having this stupid lymes disease thing means being grossly ill all day then come 11pm at night and having to sort out dogs kids etc to bed and now ping i am a member of the wide awake club, you watch i will spend some time writing this read a few things and before i know we will being saying hello to mr sunshine heralding that beautiful time of oh god i stayed up all night again and now i will feel crap all day, and yes sure enough the day brings with it pain and yes you guessed the wonderous circle of life goes on. ok so guy in the role of grandad on what we will call the paternal side was just about the only nice guy well as far as i knew in the whole family on paternal side, you see he died back when i was really young maybe around 5 or 6 i was, i don’t remember too much my brain has done a remarkable cover up job and most of my former years are a complete blank but i remember this guy being kind, and patient and nice to us children, then i remember he got poorly and he was laid on a make shift bed in the front room and then i remember crying because i wasn’t allowed to go to the funeral and i also felt a huge loss and though i was only young i remember losing the only person who may have protected me and now i would have no one. course that wasn’t true in reality no one protected me but this guy was nice and may have tried and that was what counted, after a few years the next memory i have is of him visiting me, i must have been going through a dark time i just remember him saying he would be there for me and do what he could. i felt strangely stronger after that and no matter how crap it got i would blank it out think of grandad and well the years flew by, didn’t feel like it at the time but they did because hell i am going to be fifty this year -say it quick it doesn’t hurt as much, no go on try it; look ffy see now that doesn’t even sound like a number if like me you then learn to mumble as well you can get away with no one knowing how old you are! so there you have it my guardian angel, and i was quite happy, ish, until around um 15 or 16 i think it was and i was once again going through ‘trying times’ and i visited the person given the role of mother and she was a gypsy of mixed and quite volatile heritage, she was born to a romany gypsy mother who had left the clan and married- i use the term loosely here- a big broad red haired and red faced irish gypsy man well known nay legendary for his drinking and apparently mafia like stronghold on the town of halifax back in the dark ages, not sure but i think halifax is still in the dark ages, ok so this volcanic mix brought forth the woman given the job of main carer for me and of course true to one of the many strange and hardly understandable gypsy traditions that she chose witchcraft as her main career- she picked and chose from whichever side she fancied at the time this time it was the romany so nanna was left shouting that it was nothing to do with her she was a god fearing woman, she could shout incredibly loud for such a tiny woman you know she barely brushed shoulders with the average ten yr old yet could voice her ‘god fearing ways’ through many a closed and locked door resounding through the neighborhood, some of which would pop their head out and mutter at us’ she not letting you in again then m…..? to which my mother would reply ‘none of your feckin business keep your nose out go back to all them weens your got there and barely a da between them‘ yes my mother often chose to suddenly adopt a broad yorkshire accent when she wanted, she spoke all queens english back up north but down in halifax and suddenly i needed an interpreter to find out what my mother was shouting at the locals. (for those interested roughly translated she said keep your nose out of my business and go back to all those children you have produced that have not a father between them and also nanna rarely let us in i dont think she liked mother much for most of their conversations took part through locked doors and we would sit patiently waiting until mother finally gave up and we either visited my aunty or went home. the big irish gypsy grandad on this side of my ‘family’ had died many years before when i was just a baby. Nanna never took anyone else for she was married to god or jesus or some heavenly person. so mother, was a practising witch, and on occasion when is suited her she would read tarot cards put on spells and various other pastimes. now back to the time when i had gone round to visit and i was around 16 well i was bored-oh how many of my memories begin with well i was bored, ok so boredom now having taken control of my mind and therefor none of the actions or spoken words were any account of mine mother had gone off i know not where but i was looking through her books, she had some brilliant books, this being well before the invention of the internet it was a veritable treasure trove of the most interesting and somewhat scary books ever, and they all had weird names like lamp of thoth, these books was witchcraftin books and rare and of course of the very most amazing interest to a sixteen yr old who had rarely been given any kind of access to them before – mother had guarded them with vitriol and threats until now i think she just wanted rid of me so let me read some of them to keep me quiet, and so i opened one of the smallest but to me one of the most interesting, ok let me set the scene even more for you, her house was not the one i grew up in, she had by the time i was 16 not only kicked me out to live my own life but had moved having sold the other house and spent all the money so now she lives in a tiny cramped and musty damp smelling did i mention it was tiny oh yes we are talking fishermans cottage remember this is a tiny fishing town or was a fishing town i believe europe and the eec made sure they put a stop to fishing here many years ago and then of course industry made sure that all fish and other marine dwellers were now unfit for human consumption anyway think they now glow in the dark or something, but the town has one or two of the fisherman cottages left and my mother bought one because t was the only thing left she could afford after the massive party she went on spending the money she got from selling the other house, ok so tiny smelly fisher cottage no light because somehow mother managed to wreck the whole idea of electricity and so candles were the only source of light that and the makeshift fireplace which had copper pipes running haphazardly through it as some kind of warm water invention that mothers boyfriend had come up with, and there i am amongst walls and floors painted with wild pentagrams and rather lurid anatomically correct paintings done crudely in my mothers hand of the devil and other personalities she admired and i am sat surrounded by all this reading the book of voodoo gods and how to summon them. yes i agree i did have a somewhat different childhood to others, and yes you are right it was possibly not the most nurturing of households unless you count being educated in the dark arts as nurturing my mother did, but that’s not why we are here, so i was fascinated for a good five minutes in this book- i have a short attention span- and i found a sigil and ritual that would apparently give me a guardian angel and that i thought was a good idea yes had grandad but lets face it how cool would it be to have a voodoo guardian angel so i said the chant did the ritual and ….well that was it, don’t know what i was expecting but no clap of thunder no smoke of lurid green- i really should not watch hammer house of horror movies because absolutely nothing of that sort happened and i took the sigil i had made shrugged my shoulders and wandered off back to my home – it was a little bedsit yup i was ‘lucky’ enough to be a teen during the thatcher years our glorious 80s i was given a bedsit and some dole money and i enjoyed my days recovering from whatever i had done on the nights, it was a good life, i think, but a this point i counted the bedsit i shared with my first husband as home and it was to that i went to and well more or less just got on with my day and we all went round to the mother in law who was consider quite posh as they worked- it was the 80s no one had a job there were more scarce than diamonds- and they had a video player and that was definitely posh so we – a bunch of us teenagers all with our mohicans and piercings- squeezed into this little posh house and watched the exorcist, well i was the biggest wuss ever and could not watch it, i felt quite ill and i left half way through saying it was quite a sick movie, and back then sick actually meant sick and not some misused word for good, i hated it, i thought it was terrible to put such a young actress through what was obviously traumatic acting and i had left on my own because all the others thought it was good and i sat down quite unsettled in the bedsit and something felt weird, i felt weird, and for some reason i looked up to where the window was and as i looked at the curtains i saw what is actually quite difficult to describe but here goes have you ever seen in some big supermarket or store where they have those huge air heaters that blows out hot air to warm the store and if you look a it where the air comes out well the air though transparent makes it all look wavy like you can see through it but when you look through it the air itself has made whatever you look at all wavy, well that was what i was looking at. it was around say 12 inches in an oval shaped area of ,um…..wavy air , i could see through it i could see the curtains but even though we had no heater we were scratch poor remember we didn’t have heaters but even if we had wouldn’t have paced them in the middle of the curtain, so i am looking at this wavy bit and i shuddered i knew somehow i wasn’t alone, i also knew somehow that i would never be alone ever again, this was my voodoo guardian angel and whether i liked it or not he was here to stay. now i confess i was a little freaked, i was also a little scared about the idea of him being permanent, but i had never had any permanent thing in my whole life so i guess it was that more than anything, i just didn’t like the idea of never being alone again at the time because of the life that had been thrown at me i was at my most comfortable when alone and preferred it that way but because i knew that he was here to well guard me to protect me and i had no choice i accepted him and well he has. now i guess in looking back over my life you have to decide what is defined by protect because in a sense most people would say it was something that would prevent any and all bad situations happening, but its not like that bad situations happen but i have come out of them alive, and with some of them that is quite an amazing thing, i have been through some very difficult situations but somehow there has always been that last barrier that saved me from well not just avoiding death though i thank him gratefully for that but also in quite a lot of cases i was saved from well what could easily have been hell on earth and as i have grown older and learned to listen to him more i now seem to come through relatively unscathed for which i thank him greatly. again make of this what you will i can only recount as i have done here what happened and how i saw it but i don’t need anyone to see this in any particular way i have no concern for what anyone thinks i do not call for anyone’s opinion i am happy and need no ones validation, what you take from this is your own business not mine and i have no interest in your business, also please don’t ask me for the ritual or the sigil both were used at the time and then promptly forgotten and mother died many years ago and i received nothing when she died nothing, not even a picture or book nothing, after a numbers of years i managed to get the person known as my brother to let me have one painting she did and one pack of tarot cards she used. i don’t know what happened to the painting. how often do you pass a mannequin and wonder if it is in fact a corpse? well i was as surprised as you are, honest! 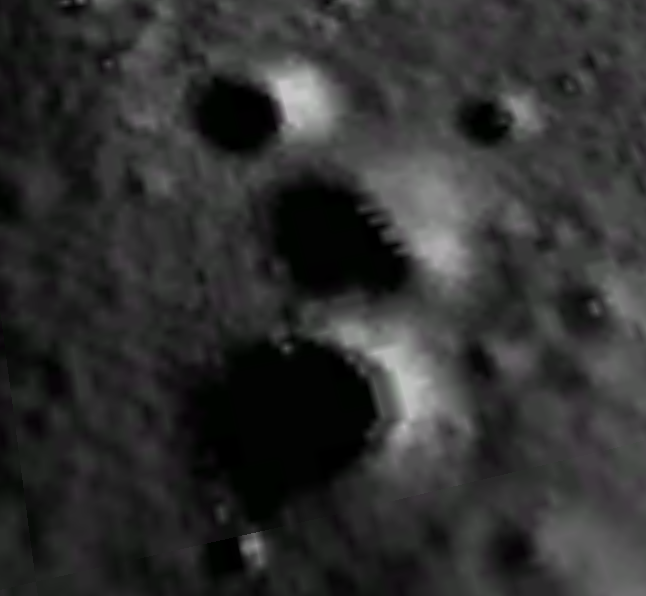 see even the moon was shocked! but um i guess this is the post i was delaying writing, basically if you have been following -a big hi to my lovely new followers- then you will have read previous posts outlining some new talents i had learned, the pyrography etc, and well during my little vacation of 9 months this is the third of my little ‘talents’ i have discovered. but this the latest of my new talents is not something that can be learned from a book, or even from watching a video on youtube, another of my preferred learning techniques. so well here is its proper name-psychometry, and it means being able to hold an object and then describing any images that come to mind to the owner of the object. well twice is nearly grade three, i think, isn’t it? ok a short while ago i think it was around four maybe five months ago now i was on facebook and found a group i joined out of interest, it was a group giving readings to members and seemed quite popular, now i am completely open-minded in fact fascinated to almost the point of obsession with all things paranormal, and so it was quite an obvious thing for me to do. as it happens it was a while before i actually visited the group and i was at the time wondering if i should just leave as i hadn’t really the time to get on there much and other people would like to join so i had written to the lady saying sorry and it was probably better to give my place to someone who would have more chance to use it. 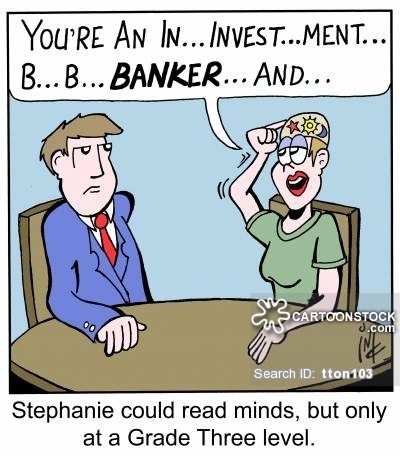 to be honest the real reason had joined other than interest had been because i was a member of a similar group but again hadn’t had chance to go on there much and in my absence the lady who runs this group had messaged me asking me to join so i did. ok so i figured i had done the right thing in letting her know of my leaving and i get another message from her, she is a lovely lady and all the messages she sent were always friendly and nice and in this one she said please don’t leave i believe you have a reason for being part of it and i believe you should have a go at doing a reading i think you may be good at it. now the group is lovely full of sweet kind people and very much more understanding and compassionate than the first group who were ok but had established themselves as quite cliquey and almost above everyone anyway i had by now left that first group and so this night i finally have some time and i pop along, now the brilliant thing about them and how understanding they were knowing my nervousness and not really wanting to go straight into actually try to read for someone they set up a little exercise. they put up a picture of a lady and that was it no other prompt information nothing else given just this photograph, and so i asked to have five minutes first to listen to my binaural beats- which are brilliant if you get chance go look them up- so i found some binaural beats for opening subconscious pathways and channeling any paranormal talents i might have and came back to the group. after a while i realised i hadn’t let any others speak so i apologised and let some other new people have a go as well. at the end of the exercise the lady explained the picture was of a relative of hers who had passed and she was very encouraging and i was surprised i was so clear and well spot on with all i had said. feeling quite pleased with myself as well as a little shocked i honestly thought i would not get anything right, but as with most things these days it took it out of me a bit and i was poorly the next day. in fact i have not been back to that group much as they were lovely and they have explained it’s apparently because i am an empath- they explained an empath to me and it does seem about right, but i simply don’t have enough of me left after everything that is important to me such as the kids my dogs home husband etc etc i have only limited energy and am so poorly that even without doing anything with the group i am drained the kids come first so whatever energy i can muster always goes on them first. so for a while i was quite happy and summer came and all was well, unfortunately this summer i was too poorly to do much but about a month ago i had planned to go see one of my closest friends, a woman whom i adore and love to spend time with, and one of the ideas that had crossed my mind was that i had deliberately never asked her anything about her mum, even though one of the points i have in common with her is that both our mums come from gypsy heritage so it would normally have been a talking point but as i say i was deliberately not talking about this because i wanted to ask her if she minded if i had a go at holding some object that had belonged to her mum and seeing what happened. you see to me it was perfect because even though i have such a wonderful connection with this friend it is quite recent happening so being n the position of knowing for sure there was no way i could have picked up anything i was left with a completely blank space, brilliant! i said how i was worried that the images were so random i wasn’t sure how well i had done, for instance one of the first images that came to me was a circus, an old circus not like those now, this was old with the striped tents, and animals particularly elephants. i looked at her almost apologetically as it was just seemed so odd, but her face was well a picture, shocked or surprised i should say, i went on to say i had seen a long train journey passing fields and towns and london being the eventual destination. it was at this point my friend broke her startled look and said that her gran had often in her childhood been made to travel by train to london during the summer to stay with relatives and they always took her to the circus and she didn’t like it as the elephants scared her. well you could have knocked me down with a feather as they say in these parts. well that’s a little startling! Tool of the devil, harmless family game—or fascinating glimpse into the non-conscious mind? Zealsoft Technology Solutions(ZTS) PVT LTD, the leading IT solution company is known for it's pioneering work in the field of IT education, training, consulting, web and multimedia. Our strong research orientation has helped us continuously innovate and implement cutting-edge technologies. All I want is to travel and eat good food. i am the itch, and these are my stories. Book Reviews from the Mind of Jess "Eyrinnia"